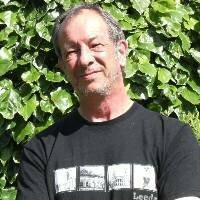 The atmosphere of Leeds in the late 19th century really comes through in this book. The evocation of the sights and sounds of the city and , in particular, the smells gives us a superb evocation of the grime of a Northern industrial city then. The harsh smells permeate the clothes of the workers in a chemical factory and the hopeless odour of poverty surrounds the woman who has been forced by the death of her husband to take her family into the workhouse. On the brighter side the park with its outdoor concert provides a pleasant experience. We are following the work of Detective Inspector Tom Harper as he investigates the discoveries of 2 bodies in water. These are 2 separate incidents - one body is found in the lake at Roundhay Park after a demonstration of a new naval weapon - a torpedo; in the other case, only part of a body is found in the River Aire. A cast of characters is well presented and the mysteries gradually get unravelled by Inspector Harper. The depth of background material and the variety of well described characters lifts this book from the mere detective story level. 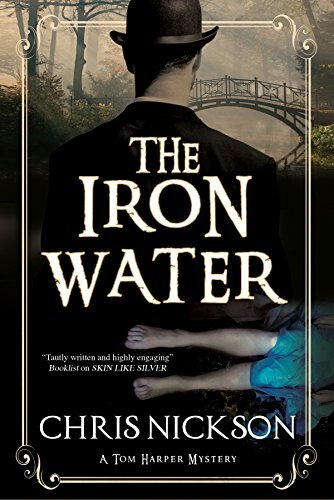 Chris writes a series set in 1730s Featuring Richard Nottingham on Leeds; The Iron Water is the third book about Harper in the 1890s. ‘Her Husband's Lover’ by Julia Crouch. Carol Westron at Portsmouth Bookfes tomorrow.